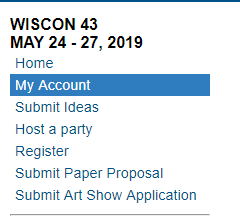 TOMORROW IS THE LAST DAY TO SUBMIT A PANEL IDEA FOR WISCON 43! ONE DAY MORE! You have one more day to submit your panel ideas, so to give you a quick refresher, check out our skit below on how to submit your panel ideas to make sure they get to us! If you submit an event to us that is not a panel, due to the volume of panel requests and the subsequent organization of the panel schedule, we cannot guarantee that your submission will be timely transferred to the correct department. The deadline to submit a panel idea to Panel Programming is tomorrow, January 21, 2019 at 11:59p.m. CST. Update your profile, especially your email address. 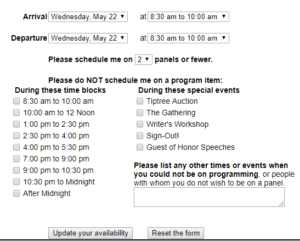 Previous PostONE WEEK LEFT TO SUBMIT A PANEL IDEA FOR WISCON 43!Next PostWisCon is now accepting proposals for games!